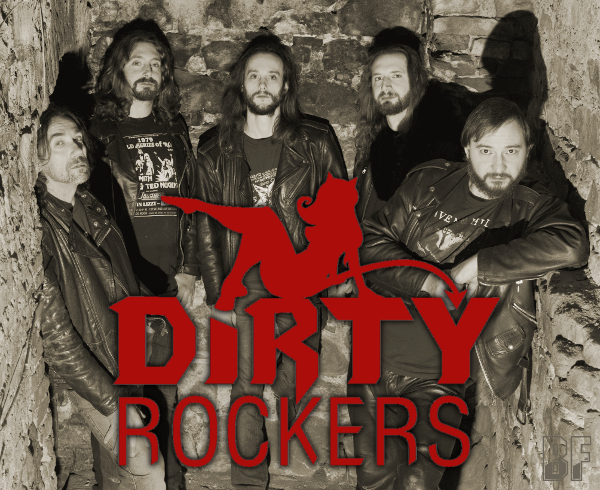 DIRTY ROCKERS is a five-piece Rock 'n Roll band based in Florence, Italy, founded in April 2004 by the band’s historical singer Mat LaParterre and the axemen Jacques La Croix and Valerio Quercioli. Their line-up was completed in 2006. Since then the band has started composing original pieces and performing live shows, which increasingly became a really spectacular and amusing shows including whiskey showers, fog, stage-lights and even fireworks. It's obviously that their shows were received highly well from the audiences. In the meanwhile the band had the chance to play on some of the most important stages in Tuscany. In 2009, DIRTY ROCKERS has recorded their first full length album entitled "Rock’n'Roll Monsters" and released their second album "From Hell" in June 2014 through 7Hard Records.